Hear the bells ringing, they’re singing alright… and so am I! Sorry, I just can’t help myself. Easter is my favorite day of the whole year. I can’t contain it! I have to SING about it! A few years ago I attempted to do a music series for Easter and quickly realized that it is impossible. There are just too many songs out there! Songs about the gospel of Easter, songs about Holy Week leading up to it, songs about the blood and the healing and redemption that it brings, and glorious songs about the resurrection and grace. Think about it… the list never ends! Since then I have compiled a list of songs that pertain to this special time of year. Some are songs we sing all year. Some are saved especially for this Holy Day. But I can’t just keep it to myself! 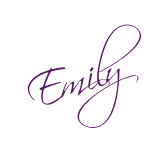 So I’m going to share it here with all of you as well… but can you do me a favor? 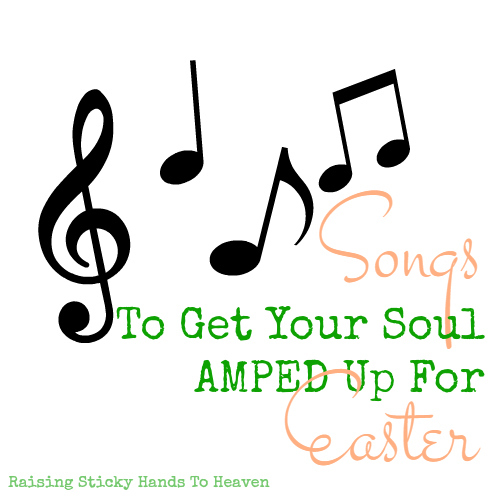 If you know of an Easter Song that has not made the list, can you let me know? Thank you! 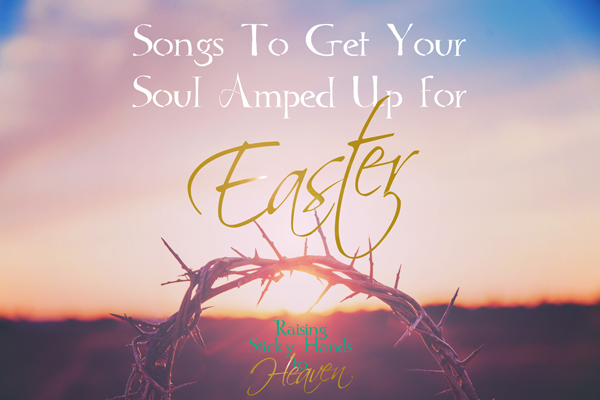 Feel free to listen to this Easter playlist anytime you need to feel inspired about what Jesus has done for you… Whether during the Easter season or another time of year. We will be continually adding to the list as we come across more songs! Enjoy! Have you subscribed to our YouTube channel yet? Every week we add playlists of our favorite worship songs from the Women On The Warpath Facebook Battalion. Want to enlist in the Battalion? We’d love for you to join us! 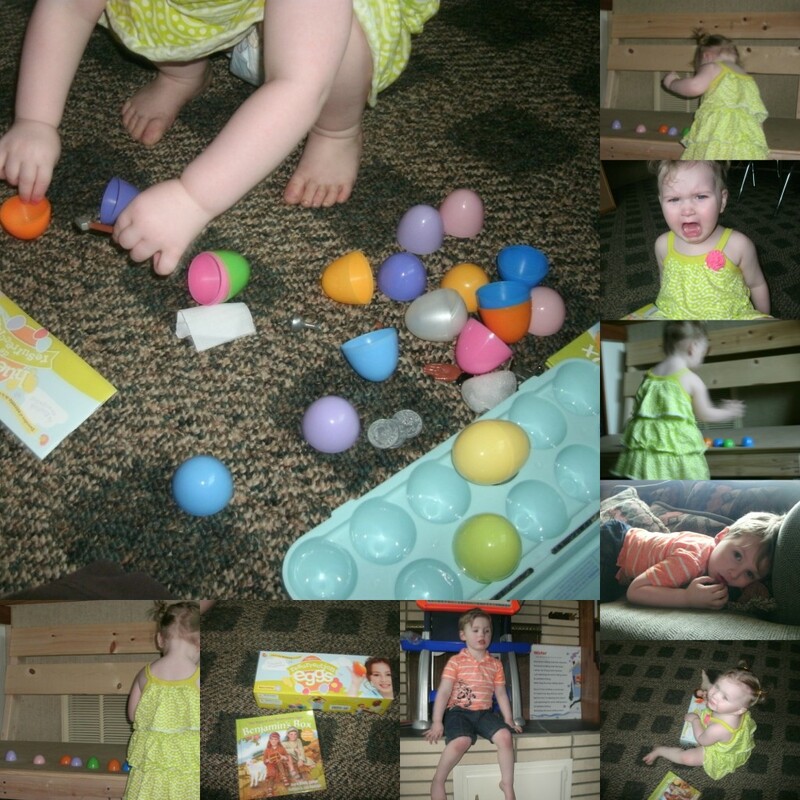 Leading Up To An Eggcellent Easter, And A Blog Hop! 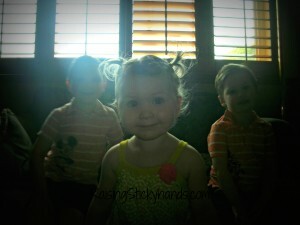 We’ve been busy in the Schott home preparing for Easter and doing some fun activities! This year our main focus has been on Holy Week and the spiritual reasons for the holiday. 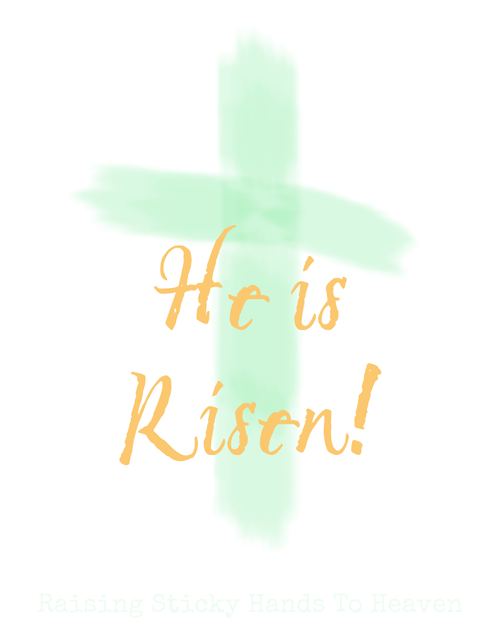 Sure, we’ve done some Springy things and there has been talk of dyeing eggs this weekend and the Easter Bunny possibly making an appearance and dropping off some Easter Baskets, but our main focus has been Jesus. It’s not that we’re holier than thou or think it’s wrong for others to do differently. It’s just what we feel lead to make it clear to our children, specifically Tommy, that God sent his son Jesus to earth to die for our sins and rose again that we might enter Heaven with Him. Tommy just turned 5, and we feel it’s time that he learn to grasp this a bit more. A little back story to lead up to where we are at this year. Last year I bought a set of Resurrection Eggs and a copy of Benjamin’s Box. I thought then that Tommy would be all over it. I had these visions of rays of light coming in through the shutters, the light bulb turning on in Tommy’s head, and him suddenly understanding the concept of everything involving the Crucifixion and Resurrection. Tommy has not only caught on to the story and what all Christ has done for us, but has actually showed such empathy that I did not expect. We’ve had to stop the telling of the story a few times so he could pull himself together and stop crying. Which made me cry. Which meant we sat there holding each other crying, praying, and having a “moment” that I will cherish forever. 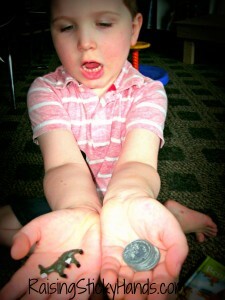 I can’t imagine how much it will affect him when he’s older and understands more as I kept it all very basic. Thankfully, we have gotten to the point in the eggs that now we will start focusing on the Resurrection more and more the next few days which will make him VERY happy. If we have time after all of that, we will do as much as we can that I’ve pinned on my Pinterest boards here & here. Interested in the Ressurection Eggs, Benjamin’s Box book, and other items we’ve used? Below are links to the items we are using on Amazon. What are you doing this week? Any crafts? Recipes? Stories you’d like to share? 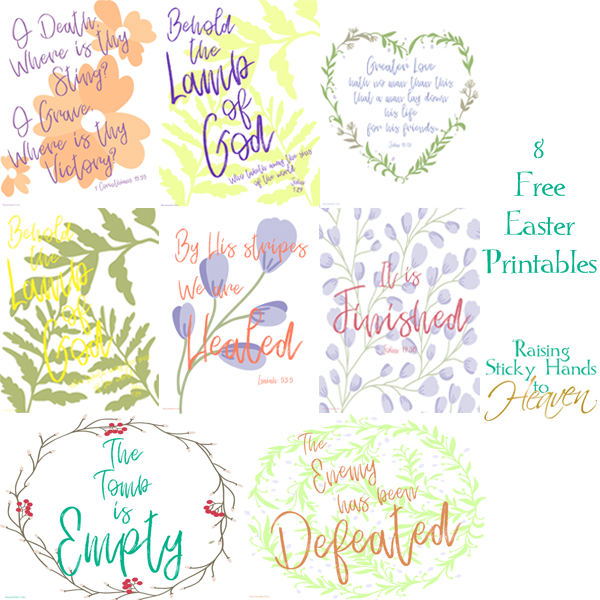 Link up anything that is family friendly and Easter related up in the Eggstra Special Easter Blog Hop below! Today most of us are celebrating Palm Sunday, the day we remember when Jesus rode on a donkey into the city of Jerusalem. As mentioned in the Bible, the people of the city flocked to see Jesus, this man they had heard about riding on a donkey as royalty would, exclaiming “Hosanna!” and laying down palms in His path. The believed in Him, had faith in Him, and wanted to follow Him. Not much time passes though before they turn on Him. All because others had. Like a chain reaction, they embrace the mob mentality and trade in those hosannas for “Crucify!” and want nothing more to see Him die a bloody death. All in what I can only assume was for their entertainment. (Step out of the prophecies foretold for a minute and think back to their society…) Why would each of those hearts turn on Him? Because one person told another person, gossip spreading like wildfire, that this was not the Son of God after all and was full of blasphemy? Did anyone care to think for themselves? They lost all inhibition and adopted the feelings of the one next to them, forgetting that the week before they loved Jesus. Sounds a little too familiar to our present day, does it not? Easter comes and goes so quickly, never getting the true attention it deserves. Not to cut Christmas short, but in my opinion, Easter serves much more emphasis on the Christian walk than Christmas. Jesus didn’t have to die for our sin, coming back 3 days later from the dead, all so each of us could have a place in Heaven if we believe in Him. Sure, His birth has great meaning, but to me His sacrifice means so much more! Add in all the secular tidbits of the holiday and it’s really easy to discount what we are really celebrating, leaving it all behind the next day. I don’t want to be like those that were in the city that day. My desire is to serve Jesus and love Him on Palm Sunday, Good Friday, Easter Sunday, and every other day! My heart sings “Hosanna!” over and over, and I never want my praise to end. No one could ever tell me anything to change my belief in Him. Not the media, not a friend, no one. Now I want to ask you: Next Monday, when Easter is over, when the eggs are eaten and the fake grass has been cut out of your vacuum, what will you be saying? 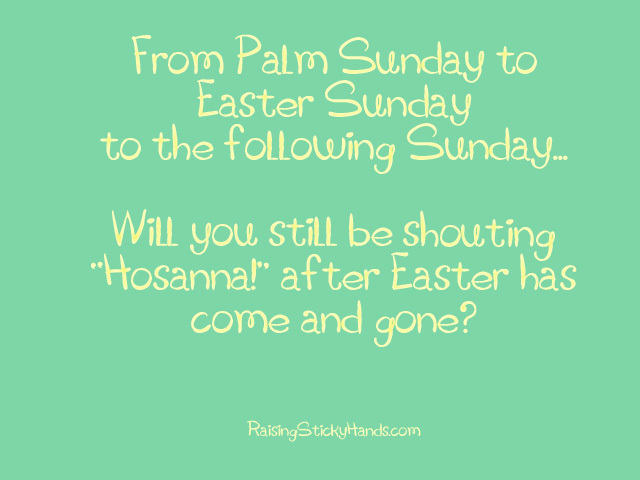 Will your heart still exclaim “Hosanna! He is the King of Kings! He reigns in my heart! Praise God, He is RISEN!” as it does today on Palm Sunday? I’m praying that it does. My prayer for you and I is to never forget and fall into going through the motions of every day life, failing to daily praise God for sending His only son as a gift to us. May we never forget Christ’s love for us. Thank you, Lord, for everything. It’s true. I wasn’t there when Jesus was in the garden, praying to His father, sweating blood, begging to let the cup pass from Him if at all possible, nevertheless, determined to follow His father’s will…..all for me. I wasn’t there when Judas Iscariot, His FRIEND, betrayed Him for such a meager amount. Or when the soldiers showed up to drag Him away. I wasn’t there when He allowed them to drag Him away…..all for me. I wasn’t there when they forced Him to carry the cross He was about to be hanged on, when they beat Him beyond recognition, and He let them……all for me. I wasn’t there when He made it to Golgotha, hanging between two thieves, crying out, “Father, forgive them for they know not what they do!” I wasn’t there when He had to ask God, “Father, why has Thou forsaken me?”…..because of me. I wasn’t there to see His blood spill out or when He gave up His spirit…..because of me. No, I wasn’t there some 2,000 years ago, at the crucifixion of the one and only son of God……but there’s one thing I know…..it was done all for me. My sin and shame put Him on that cross and held Him there. He could have called 10,000 angels, but he didn’t…..because of me. But you know what? It wasn’t just for me. It was for you, too. And you. It was for Whosoever. “For God so loved the world that He gave His only begotten Son, that whoever believes in Him should not perish but have everlasting life.”- John 3:16. God willingly gave His only son and His only son willingly gave His life…..for us! Don’t you think it’s a slap in the face to Him if we don’t acknowledge what was done for us? Shouldn’t we be living for Him since He died for us? Instead, many of us turn our back on Him. It’s time we start remembering the greatest sacrifice, living the lives of slaves set free because of that sacrifice, sharing the gospel of that sacrifice with the lost and dying world. And NOT just on Easter Sunday. Why? Because He didn’t just die. Death and the grave wasn’t strong enough to hold Him. He LIVES again…..all for us.